Our client Michael Guiry Real Estate Agents contacted us and showed us the old office and bottlenecks in the off space. The building itself is a fragmented office converted from an old town house. The space wasn’t utilised to its full capabilities and its layout was dated. At a glance, we could see that something beautiful could be created with the use of modern elements. Especially if we made the of the external shopfront and interior more visible. The project consists of extensive renovation of the historic buildings on the Waterford’s Quays, built c.1820. The objective of the project was to design and deliver contemporary offices in the prominent location of the City Centre. We converted what were once dark and claustrophobic office spaces; to bright and human friendly modern office spaces. We achieved this by redesign of vertical circulation and constructing a new stair that served offices on the upper floors. This allowed use of all offices within the building as separate units. Convoluted fire strategy has been simplified and the building is now fully certified and wheelchair accessible. 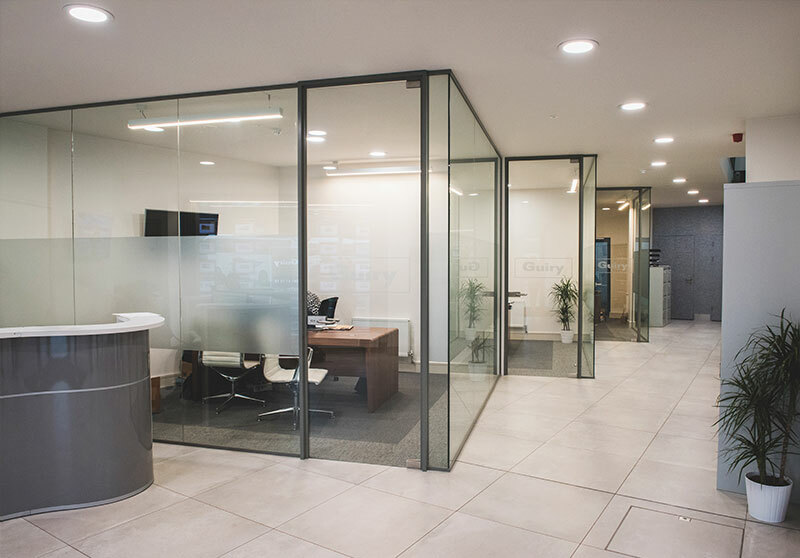 By using contemporary materials like glass and steel, we delivered modern third generation offices in the highest of standards. With the upgrade of the front façade, alongside the addition of the new steel shopfront, this high end look catches the attention of passers-by. 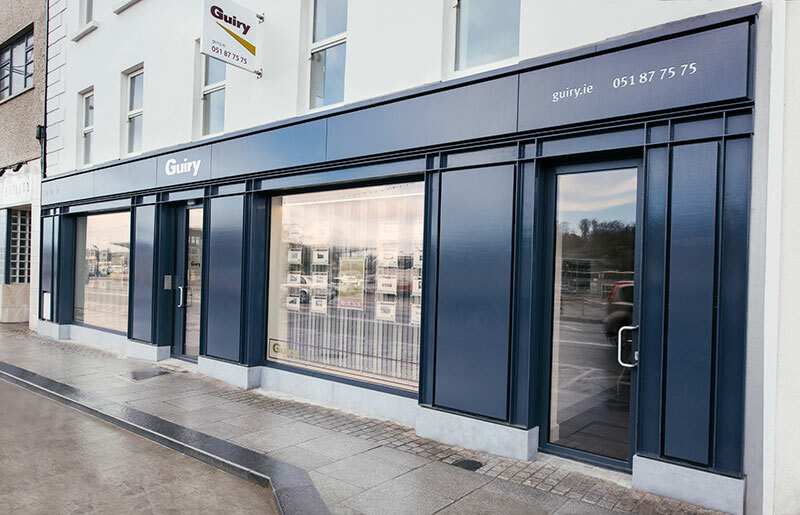 Stunning views of the Quay and river Suir came free with this project thanks to the buildings great location.